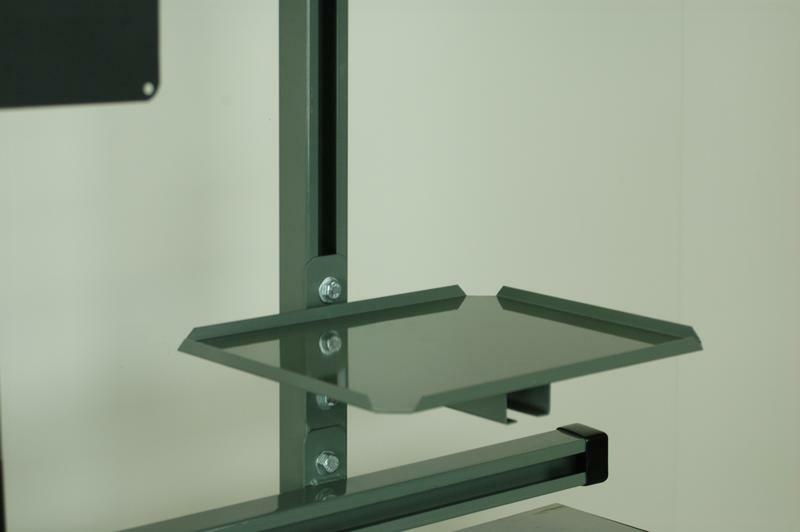 The monitor tray is a simple 18 gauge formed tray that is welded to a bolt plate. This small tray will mount to table with an overhead structure uprights to support a flat screen monitor or other related sized item. All trays will adjust up and down on the workbench overhead uprights.